You can start with basic plan and later upgrade by only paying the difference in price between the plans. There is no need to pay full price to upgrade. MINIMUM 50,000 minutes per month. Using the IVR, users can automatically register their number by calling trigger number and entering a voucher without accessing their online web portal. They can also recharge their balance using the vouchers by just calling the callback automated system. We apologize but due to security reasons, this package is no longer available for purchase online. What is International Web Callback APP? International callback has become the newest technology to help foreign companies and individuals drastically reduce their cost for international calling. This reduction in costs for international calling allows companies to be more competitive in the international marketplace. It also allows individuals to stay more in contact with friends and family members. By routing all your international calls through the United States, you can use the LOWER RATES of the U.S. phone system to make your calls. Both legs of the call originate from the US. User wants to call Mumbai, India from Nairobi, Kenya. User will trigger our server using either sms, web page, or by calling our callback phone number and hanging up. You will not be charged for the calling the callback number as you hang up before the call is answered. Our server from the US will call Nairobi and then Mumbai and connect both calls using US termination rates to both destinations. So, after you sign up on our callback service, we will assign you a special unlisted U.S. phone number that you will call and then hang up after one ring. Since you hang up BEFORE a connecting answer, there is no charge for the call from your national or local phone company. However, our VoIP Switch has been signaled that you called and it will IMMEDIATELY call you back. 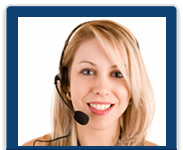 It is a great service for beating the high prices of making calls from outside of America. You initiate a SMS from your mobile to our server. Our server will respond by calling you back. You can then place your call to anywhere in the world! You can initiate the callback via a web page. Once our server receives the request, it will respond by calling you back to your phone or mobile phone and to the destination number you specify. You can then place your call to anywhere in the world!! Once our server receives the request, it will respond by calling you back to your phone or mobile phone and to the destination or office number where you want your customers to call you. You trigger a callback calling our regular phone line. For ANI (caller id) to work, your phone provider will need to pass on the caller id information so that our server can read the number. Our server will respond by calling you back. You can then place your call to anywhere in the world!! How do I resell this service? When you sign up as our reseller you can sell all our services depending on the packages you sign up for. Please review our packages here.